Safari Club International (SCI) Miami Chapter is a South Florida extension of Safari Club International, an organization devoted to the protection of hunting rights world wide. SCI Miami Chapter was formed in December 1997 through the hard work and dedication of our first President, Ernesto Santana as well as Lawrence S. Katz, Esquire, then the SCI Vice President (he also served as a subsequent SCI President and SCI Miami Chapter President), as well as many others who were equally devoted to the central mission of protecting hunting rights through conservation, educational and humanitarian programs. 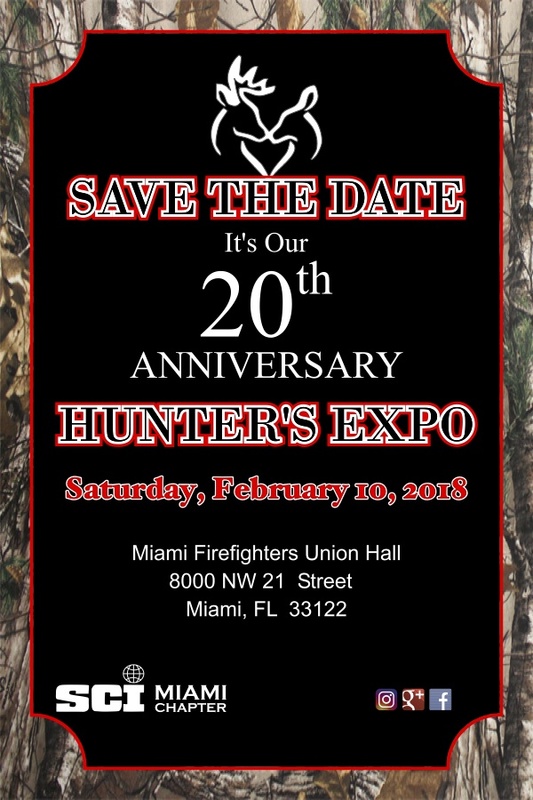 We hope you can make it out to our 20th Anniversary Hunter's Expo on Saturday, February 10th! GalleryCheck out our member submitted photos.